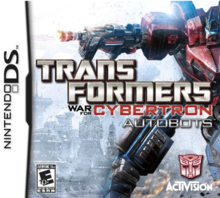 Note: Copy any of the above Transformers: War For Cybertron - Autobots (USA) rom download links and paste it into your browser to download. does it work on the R4 card?? You might want to update these since the mediafire one no longer exists and the megaupload site has been removed by the government.